I made a quick change of plans last week. I had my sample all ready for the Mom & Me class I did on Sunday afternoon, then decided I needed a new card for the moms to make on their own while I worked with their kids. 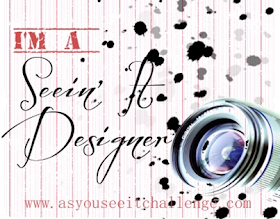 Thanks to Pinterest and Lyssa Zwolanek, I found a design that I pretty shamelessly CASed, adding a few of my own touches with colours and dimensions. 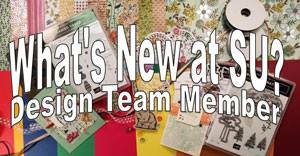 It is a peekaboo paper design, one that I've seen a lot lately on Pinterest and everywhere else on the internet. Basically, you fold back the flaps on the front panel of your card to reveal a 'hidden' sentiment! 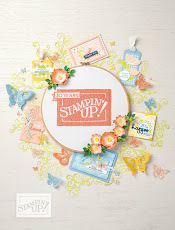 Watercolour Wings is the awesome stamp set featured here with the 4 step butterfly and the sentiment. 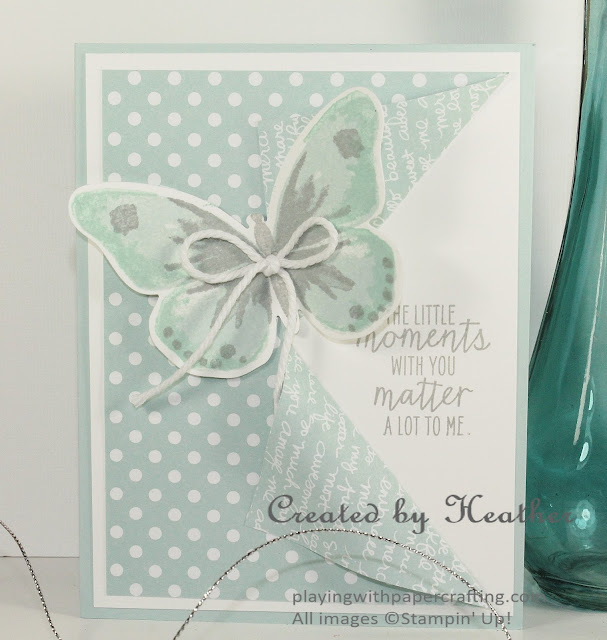 That watercolour butterfly image is so spectacular and so easy to do with photopolymer stamps. You can see right through them to line up your images. 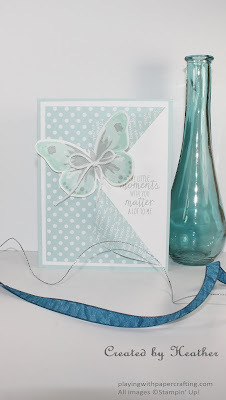 And the icing on the cake is the Bold Butterfly Framelits that you can use to die cut the final image. One word of advice that I have is to save stamping the butterfly's body until you've die cut the image, so you can tell where to position it. I didn't do that and you can see that the body is a little out of alignment. The top layer of Designer Series Paper, from the Subtles Designer Series Paper Stack, is slit in the middle of the long side (2 1/2" from the top) in 2" from the edge. 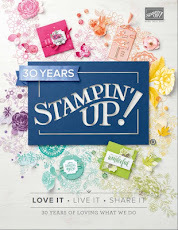 Your Stampin' Trimmer, with the ruler on the blade guide makes that easy to do. I also scored the fold lines by lining up the end of the slit and the corners of the card along the blade guide and using the scoring blade gently. I folded the paper back, but I didn't crease it. Using a glue dot on the corner, I adhered each side so that it created that rounded look. 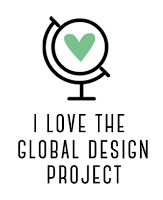 Before adhering the Whisper White and the Designer Series Paper, I just positioned the latter over the former and stamped the sentiment in the right place. That way, if the stamping was faulty, I could still flip the Whisper White and try again without needing to start again. Love that Whisper White Thick Baker's Twine! It makes a substantial bow without looking too heavy. 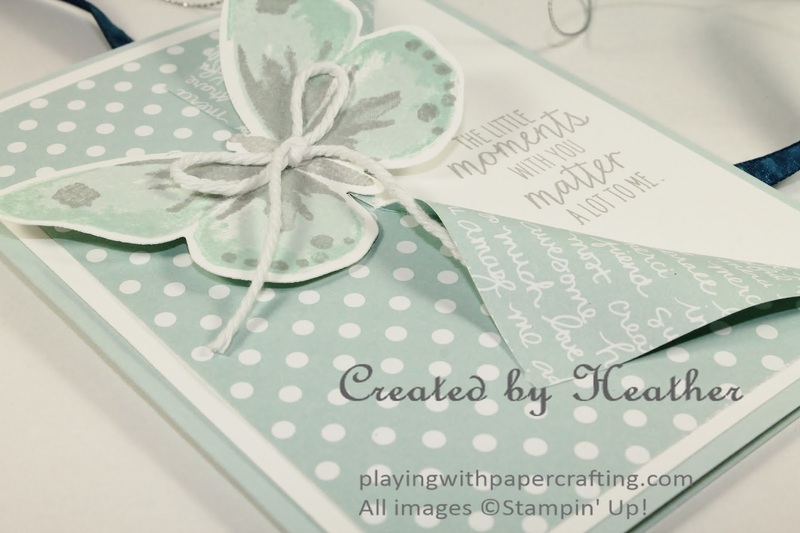 May 2016 Paper Pumpkin kit: No one yet! It won't be the last! I hope you all had fun! I'm just waiting for the delivery of my first 2016-17 Annual Catalogue order to arrive. Tomorrow I plan on giving you My Top Ten Picks from the Annual Catalogue, so stay tuned for that!